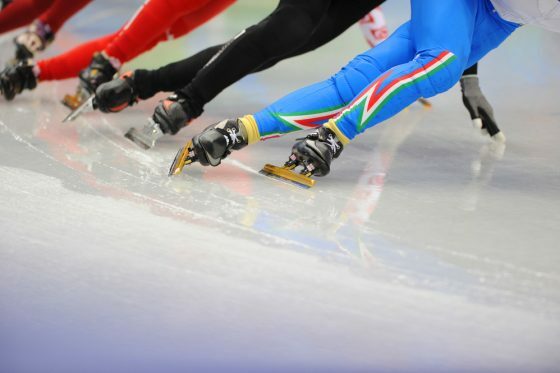 Dutch speed skater Jan Blokhuijsen has apologised for a comment he made during an international press conference in Pyeongchang about eating dog meat, the Korea Times reports. ‘Please treat dogs better in this country’ the skater said. According to the paper the comment ‘came out of nowhere’. The news quickly went viral, with Koreans claiming the comment was ‘racist and ignorant’. ‘The country’s dog-eating culture today is not what it used to be. Many Koreans, especially young people, do not enjoy it. But some still consider it a delicacy,’ the paper writes. It then goes on to say that eating dog is controversial in South Korea as well, with animal rights groups campaigning for the practice to stop while others claim it is no worse than eating pork. It is not the only apology Dutch skaters have had to make. During a noisy celebration by the Dutch team pursuit team at the Holland Heineken House on Wednesday, the skaters gently tossed the commemorative plaque into the audience hitting two women on the head. Sven Kramer apologised on Twitter in Korean and promised to ‘behave better in future’.